May bank holiday (number one that is) doesn’t just mean an extra day off work, it’s one of my best friend’s birthday- any excuse to party right? 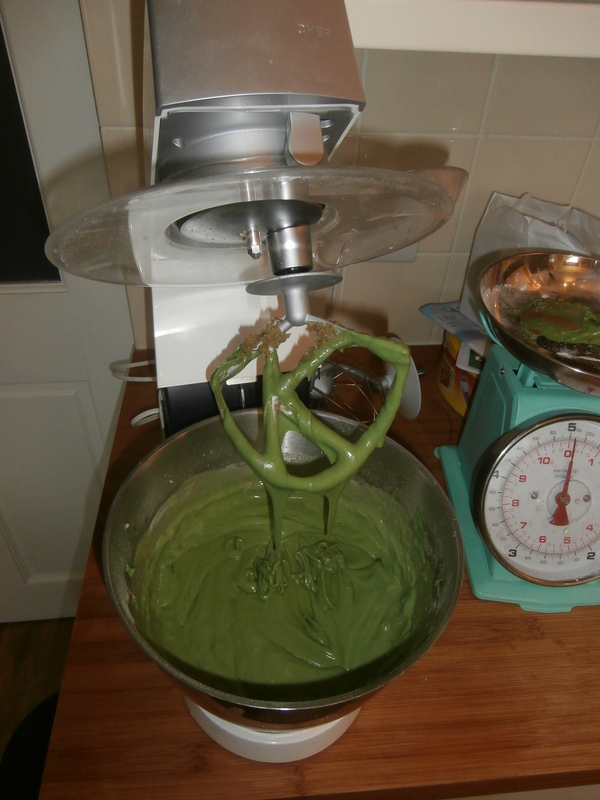 A few weeks earlier, I was cheekily asked ‘What cake are you making me for my birthday?’ and then ‘One with alcohol in?’ To be honest, I’d had a different cake in mind but as I actually had a request I thought I’d try and fulfil it. So I then had to decide what alcohol and what cake… (bearing in mind that I’m not much of a cake decorator- that’s Mum’s forte). My first thought was Passoa– though it’s quite hard to find locally and I had little time to venture elsewhere, one for another day perhaps. Malibu? Maybe. Vodka? Urgh! Then it hit me, we always head to ‘Spoons for a Jagerbomb (don’t forget the straw!) so that was pretty much the deciding factor. 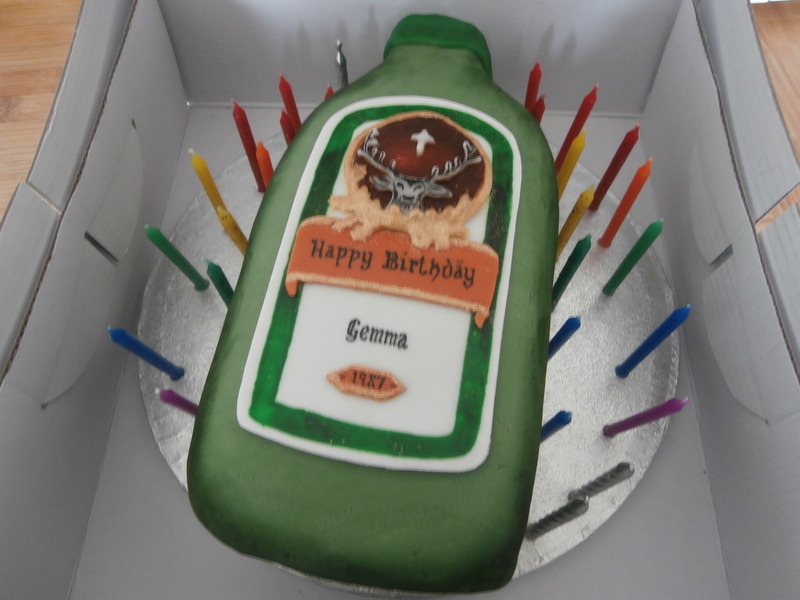 After a lot of research I decided to make a Jagerbomb green velvet sponge, a Red Bull buttercream, and a Jagermeister chocolate ganache- didn’t look too pretty! Anyway, I think she was pleased with the results. 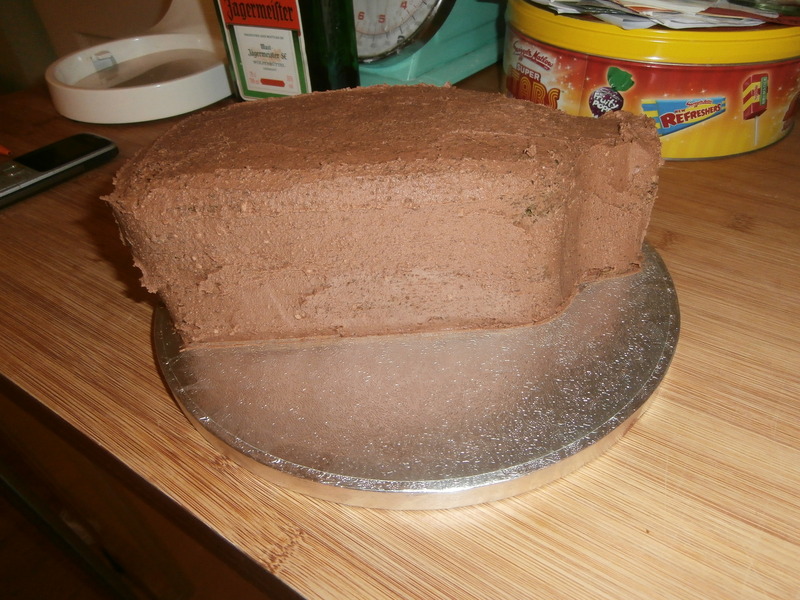 We didn’t get chance to try the sponge on the night but I’m assured by my boyfriend that the off-cuts were tasty! Thank you! Though I think the proof will be in the tasting…!